The clamour for magpie culls is like the baying of a crowd at a witch trial. There’s no basis in fact for the claim that magpies are threatening British songbirds, only entrenched irrational ideas about corvids. We are . . . trying an alternative approach to the problem, by investing £20m over three years to develop badger and cattle vaccines. 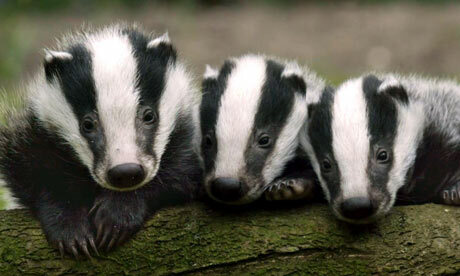 We will start vaccinating badgers in six areas of England, working with farmers, later this year. We are also taking steps to try to reduce the incidence and spread of bovine TB, working with the industry and vets through the Bovine TB Eradication Group, and I have accepted all the recommendations of its first report. This includes providing better support to affected farmers. The government body Natural England have added four non-native species to the list of birds that can be shot without having to apply for an individual license: Ring-tailed parakeet, Monk parakeet, Canada goose and Egyptian goose. The Ring-tailed parakeet, a conspicuous resident in the south of London, is often a scourge for farmers in its native terrain (ranging from Africa to the Himalayas), as large flocks wreak mass destruction on crops. So far only a few isolated incidents of crop-damage have been reported in England, so its inclusion in the list would seem to be a precautionary move. There is also concern about the impact of this rapidly expanding species on native wildlife, particularly other tree hole-nesting birds, such as woodpeckers. Any species on the general license list can only be culled with legitimate justification. A plan to cull badgers in Pembrokeshire is criticised here by George Monbiot in The Guardian, claiming that it will not work and amounts to little more than a Welsh assembly effort to secure farmers’ votes.